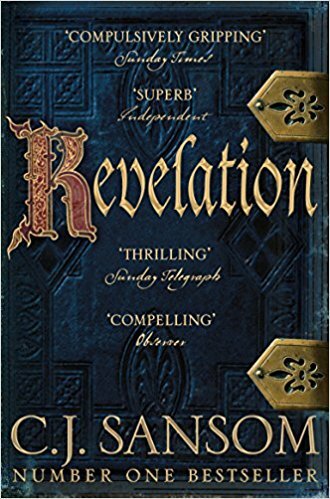 C. J. Sansom's bestselling adventures of MAtthew Shardlake continue in the fourth title of the series, the haunting Revelation. This is another of my favourites in the series. Shardlake is working for Archbishop Cranmer and along with his side kick, Jack Barak (a lovable rogue) gets trapped in a horrific mystery. As they follow a trail of dead bodies they quickly find themselves shocked and sickened by the hideous crimes that seem to have religious and demonic connections. When an old friend is horrifically murdered Shardlake promises his widow, for whom he has long had complicated feelings, to bring the killer to justice. His search leads him to both Cranmer and Catherine Parr - and with the dark prophecies of the Book of Revelation. As London's Bishop Bonner prepares a purge of Protestants Shardlake, together with his assistant, Jack Barak, and his friend, Guy Malton, follows the trail of a series of horrific murders that shake them to the core, and which are already bringing frenzied talk of witchcraft and a demonic possession - for what else would the Tudor mind make of a serial killer . . .?